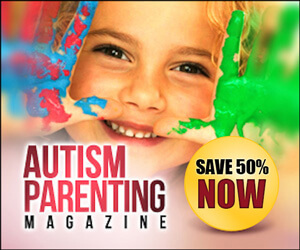 APRIL SALE of Autism Parenting Magazine begins TODAY with an extraordinary offer for all new annual subscribers. It’s the SALE OF THE YEAR and you don’t even need to leave the comfort of your home to shop! For a limited time only, when you sign up for an annual subscription to Autism Parenting Magazine, you will receive ALL of last years back issues for FREE! That’s $119 worth of magazines for only $29.88 — that’s 65% in savings. 24 magazines for only $1.25 per issue! On this Episode, I explain what sensory sensitivities and sensory decreased awareness can look like with newborns and infants. I also provide strategies and explanation for ways to support the babies and their caregivers with feeding difficulties from a sensory perspective. Use the link above to purchase this Episode as a CEU. New Arrivals At Melissa And Doug. Shop Now! Like Deals & Promotions? Shop ReallyGoodStuff.com! Click Here! Midwest Therapy Associates, Milestones Podcast, and Allison Carter may receive commissions from affiliate links posted on this page at no extra cost to you. Use the link above to see one of many examples of White Noise App’s that are available on iTunes! On this episode, I discuss ways we can work with kids who have lower cognitive abilities on grasp development and self help skills. On this Episode, I talk about Auditory Sensory Processing Delays and Sensitivities. I will explain what this looks like, how it works, and provide examples of home and school situations. Autism Parenting Magazine Black Friday Deal!! BLACK FRIDAY SALE of Autism Parenting Magazine begins TODAY with an extraordinary offer for all new annual subscribers. For a limited time only, when you sign up for an annual subscription to Autism Parenting Magazine, you will receive ALL of 2018 back issues for FREE! Don’t delay — this amazing offer ends 23:59 (PST) on Cyber Monday. Just visit Autism Magazine Black Friday Deal and save 65% today! 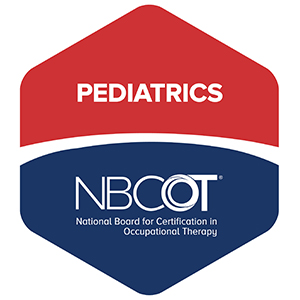 On this episode of the Milestones Podcast, I discuss the roles of Certified Occupational Therapy Assistants (COTAs) in Occupational Therapy settings. I also explain the differences between COTA and OTR and what their roles are in the workplace. Schwellnus, Heidi, et al. “Writing Forces Associated With Four Pencil Grasp Patterns in Grade 4 Children.” American Journal of Occupational Therapy, American Occupational Therapy Association, 1 Mar. 2013, ajot.aota.org/article.aspx?articleid=1851668&resultClick=3. PA, April 1 2017Philadelphia. “COTA: Is a Name Change the Solution?” American Journal of Occupational Therapy, American Occupational Therapy Association, 1 Nov. 1996, ajot.aota.org/article.aspx?articleid=1865150&resultClick=3. “Entry-Level Role Delineation for Registered Occupational Therapists (OTRs) and Certified Occupational Therapy Assistants (COTAs).” American Journal of Occupational Therapy, American Occupational Therapy Association, 1 Dec. 1990, ajot.aota.org/article.aspx?articleid=1879318&resultClick=3. Earn CEU’s / PDU’s by listening to the Milestones Podcast !!! !